With this product you can accumulate up to 92 Glitter Points. 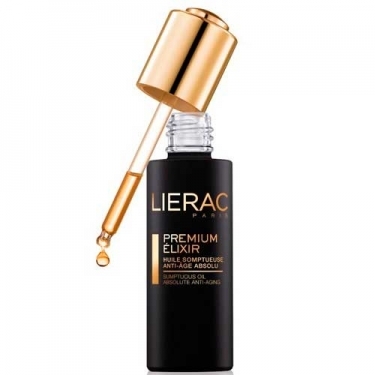 DESCRIPTION: Premium Elixir Huile from Lierac is a concentrated and mellow care to fight aging in an absolute way through the technological innovation of genetic medicine and the natural extracts of black flowers. 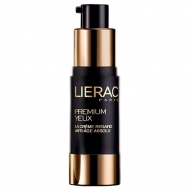 This dry anti-aging oil has a fluid texture and silky fast absorption. It stimulates and repairs damaged cells in depth and regulates the production of melanin (regulation of pigmentation), which also ensures a progressive anti-stain action. 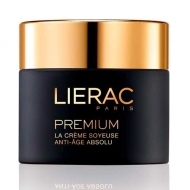 This elixir also helps to repair and maintain the integrity of the skin barrier. The skin is intensely regenerated and revitalized. Deep wrinkles are dimmed and stains are attenuated. 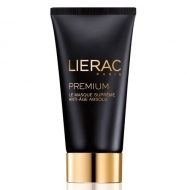 Ultrafine and silky, this elixir in oil allows to balance the most devitalized skins. Absolute anti-aging stimulates sirtuin 6, the skin's fundamental youth protein, to repair damaged cells in depth and regulate the production of melanin for a progressive anti-blemish action.